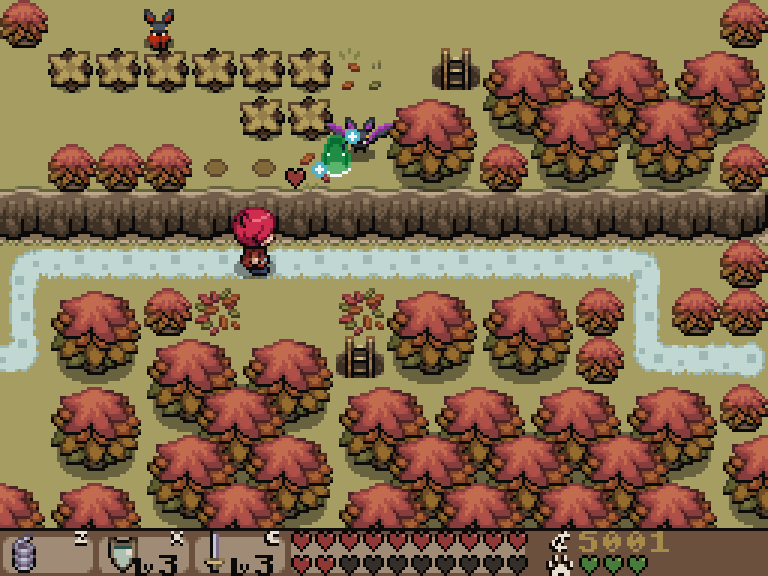 I’m currently putting in the last of the new features for beta8 this evening (sound effects for new items, actions and tiles). What’s left after that is fixing the remaining bugs, testing and then releasing the beta8 update! You can see my progress towards the release on my trello board. 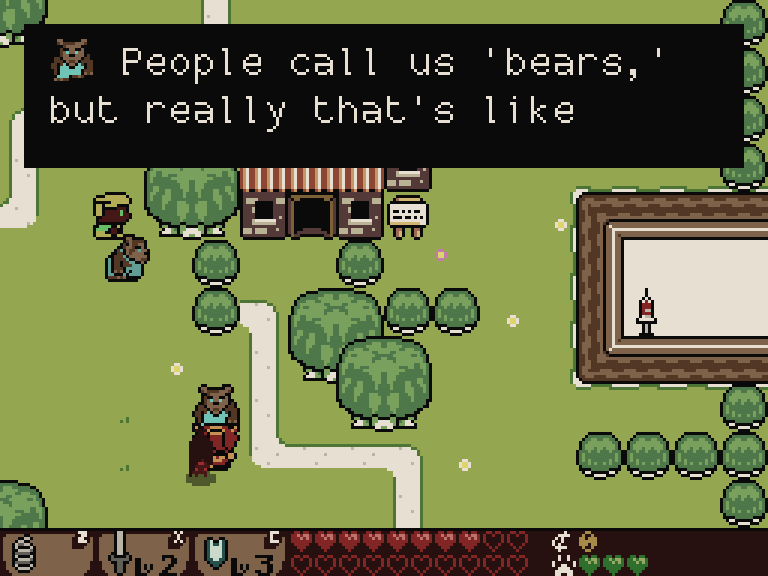 As I wrote last month, the new GBA-style graphics won’t be included in beta8, they’ll be in a future update instead. 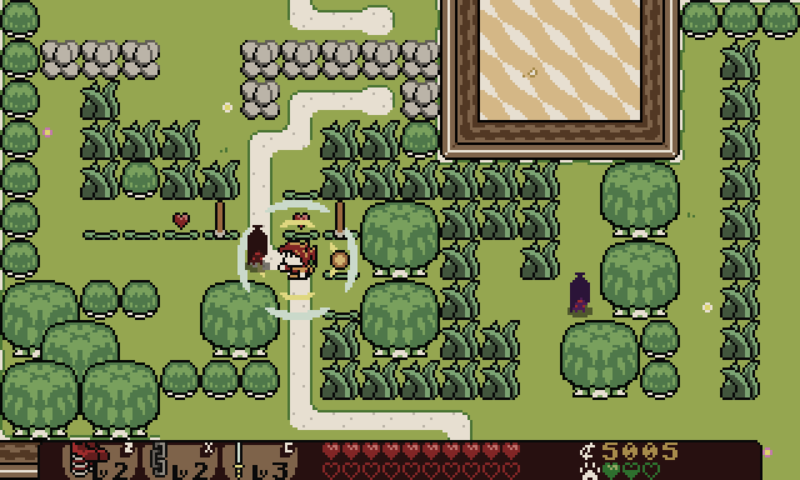 The current plan is for both styles to be available in the final game. 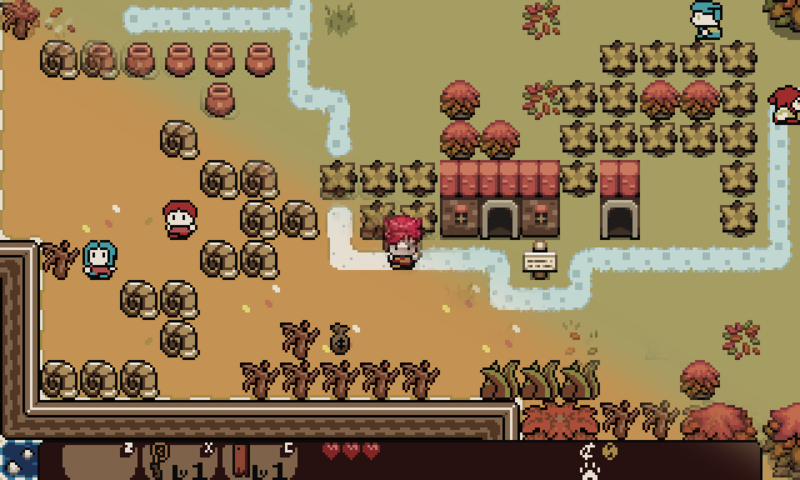 It’s time for a quick round-up of the latest in-development changes in Lenna’s Inception! Rezzed and Beta8 plans - art upgrade! 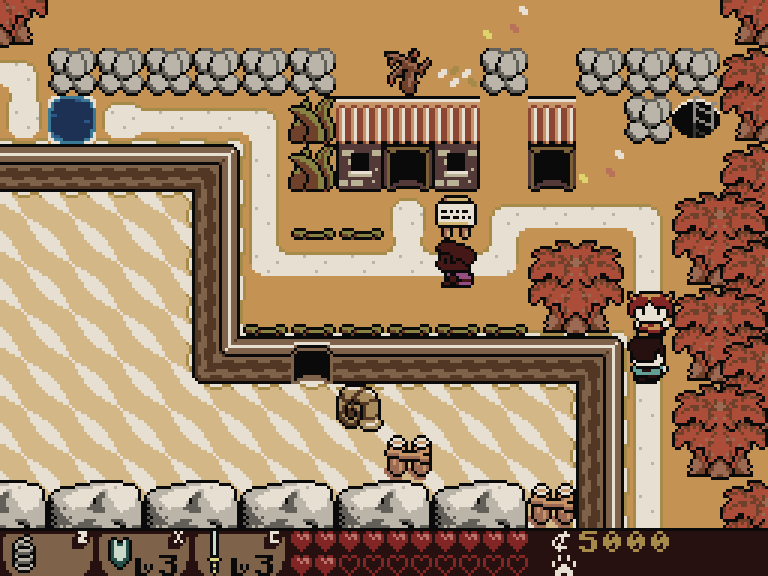 Here’s an update on what I’ve been doing and what’s coming up for Lenna’s Inception! The autumn biome has been added. 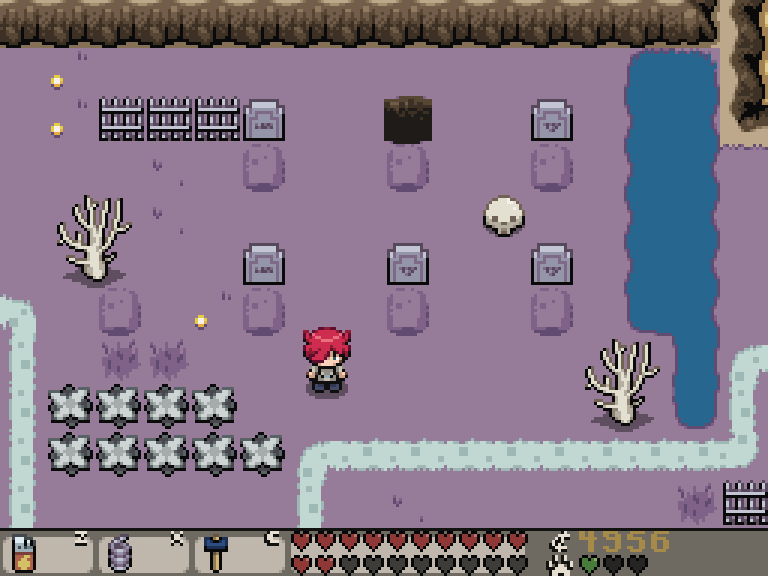 The graveyard biome has been added. 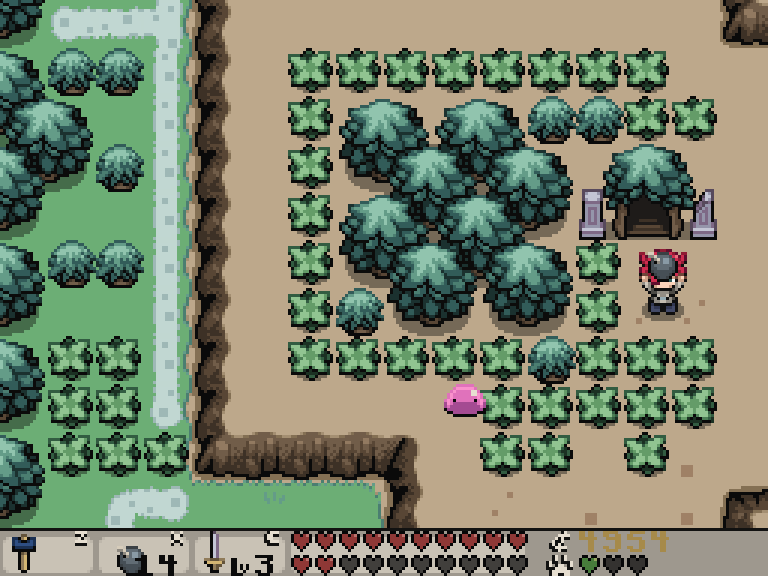 Randomized caves have been added to the overworld. 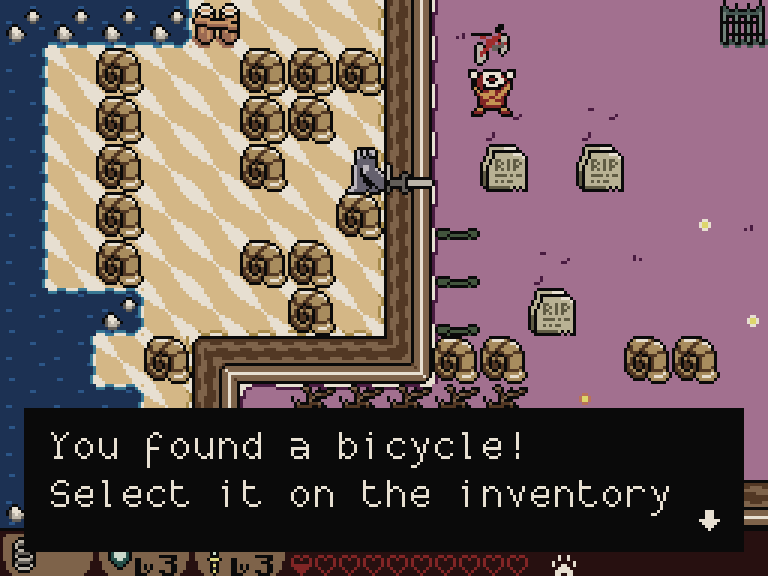 An obtainable bicycle has been added. This can be used for fast travel by selecting it on the inventory screen. The coffee break challenge has been added. This is a short (~10 minutes) challenge mode on a single dungeon with a random ruleset from the other challenges. There is no online leaderboard for this. The daily challenge has been added. This is like the coffee break challenge, but based on a standardized per-day seed shared between all players. The leaderboard for this challenge is cleared at the end of the day. New music has been added to the laboratory and the nuclear dungeons. New music has been added to mountain biomes. A new story line chapter has been added to the graveyard area. A new building has been added to the town: the Church of N'GHA. I'm still absolutely committed to finishing the game! 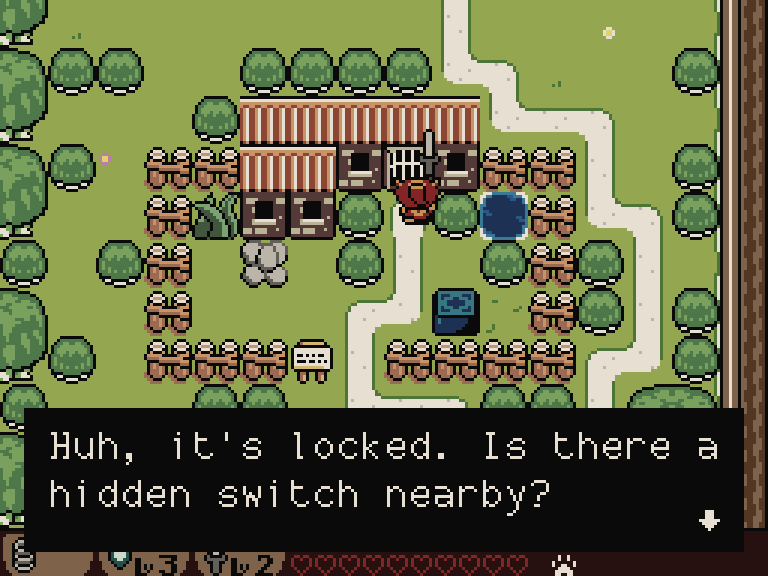 I'm currently investigating other ways to make it available (several other stores look like possibilities). If you've already purchased it, your itch.io download page will still work, and you will still be able to access all future updates through there. By the way: I'm going to be giving at talk about procedural generation at the start of #procjam on the 8th of November. Tickets have already sold out for attending in person, but the talks will be streamed online! 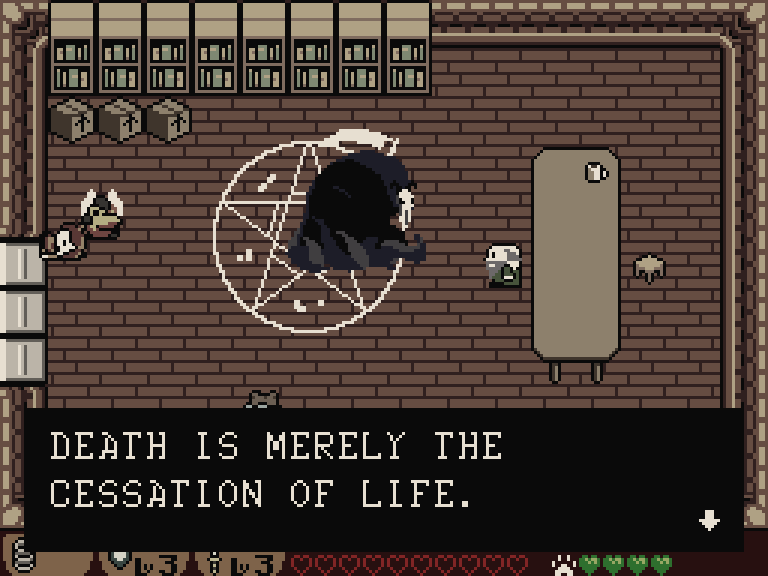 Check the website and @procjam to keep up to date on the details for that. 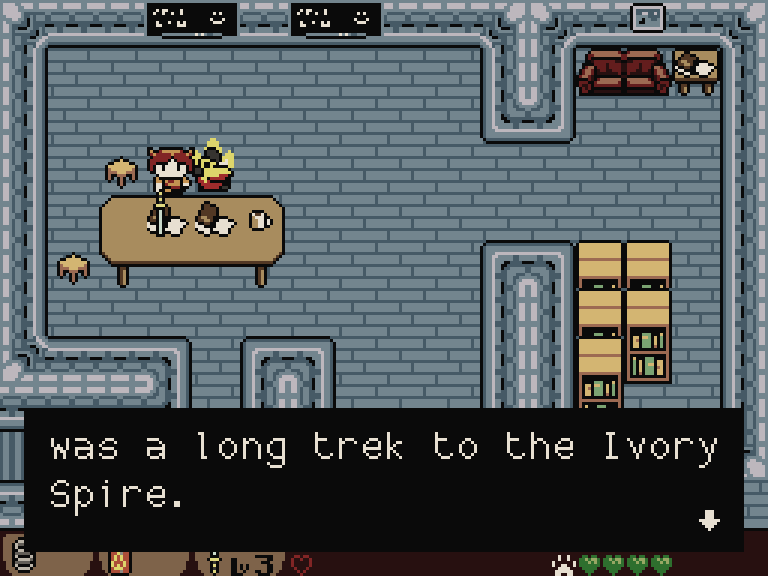 New story-line character Delvin is introduced during the "save the prince" quest. 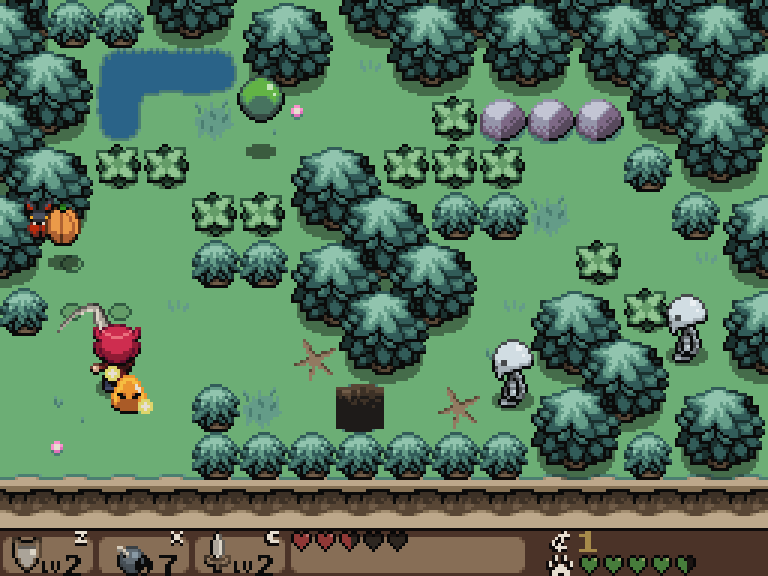 Progression in the main arc pursuing the Archangel that killed Lenna's students. The Damascus Katana is no longer found in a dungeon. 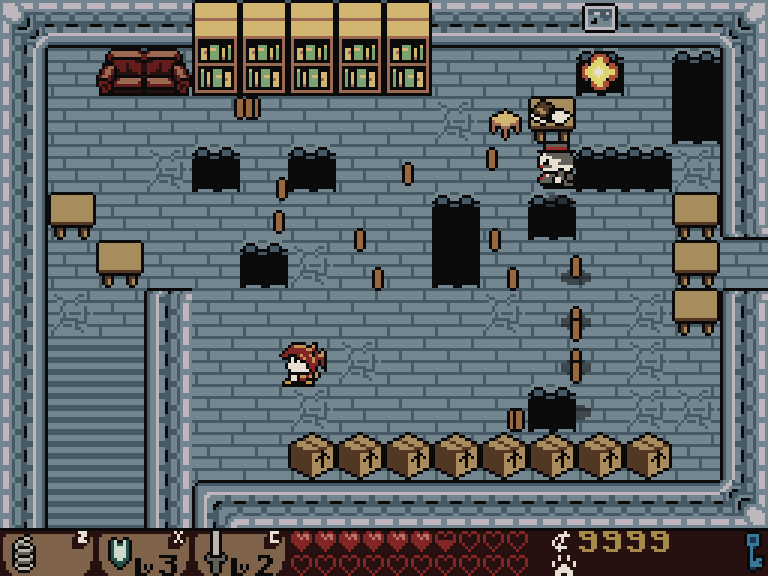 You must do the blacksmith's quest to get it. 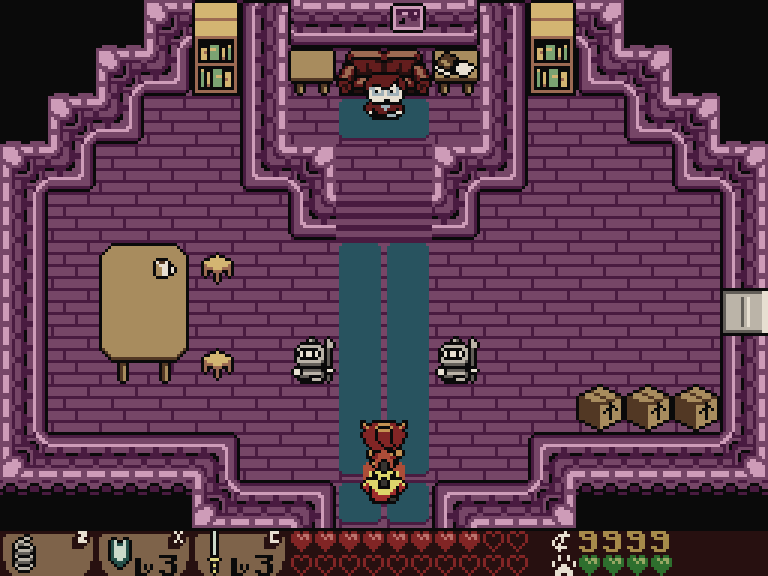 There's a slightly modified cutscene inside the palace if you find the prince before visiting there. 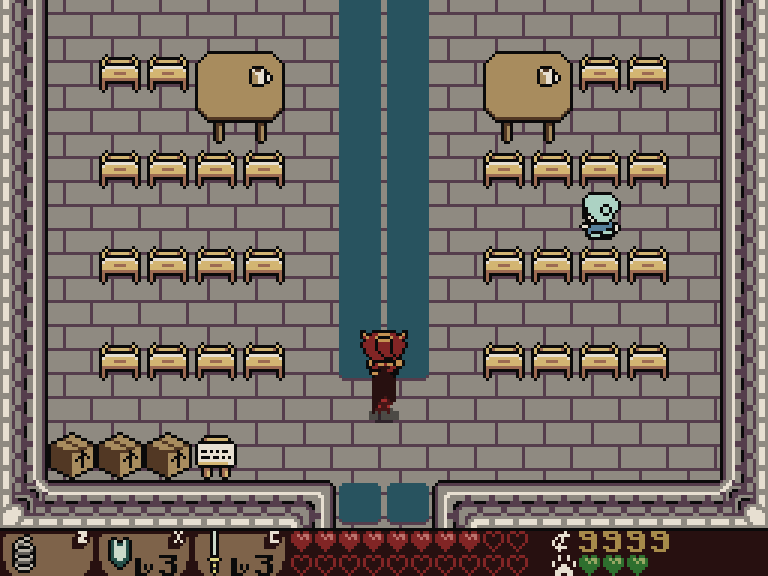 When you enter a boss's chamber, the dungeon music fades out. 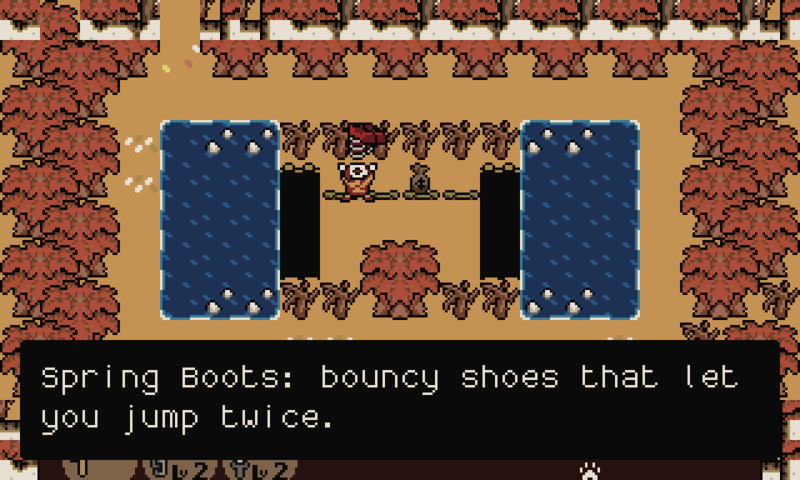 In the overworld, most tracks don't swap immediately, but only after the current one has finished. The lost library books "Tursiops Sapiens" and "Ursus Sapiens" have been written.